Northwood Investors owns several hotels, managed by its operating platform Northwood Hospitality, that serve different needs at a range of price points. From select service to extended stay suites to a luxury hotel, one thing remains consistent – a strong commitment to providing exceptional service. Each hotel is consistently recognized as a leader in its respective brand. Our strong partnership among properties enables us to work together and easily accommodate group and leisure traveler needs. Explore career opportunities. 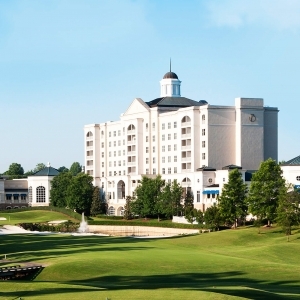 The Ballantyne, A Luxury Collection Hotel, Charlotte features well-appointed accommodations, versatile indoor and outdoor event space, a world-class spa and salon, championship golf, golf academy and Gallery Restaurant. The Forbes Four-Star recognized hotel, which also offers a Lodge group retreat and charming Cottage, is Charlotte’s premier location for business or leisure. Enjoy 15% off hotel stays. 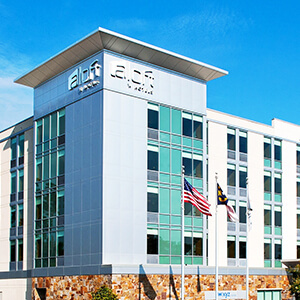 A LEED®-certified hotel, Aloft Charlotte Ballantyne is a modern and fun destination with urban-influenced design and free-flowing energy. Aloft features comfortable accommodations, oversized showers with Bliss Spa amenities, a hip w xyz lounge, meeting space, free Wi-Fi , grab ‘n go food and beverage options, fitness room, pool and more. Enjoy 15% savings Thursday -Sunday. 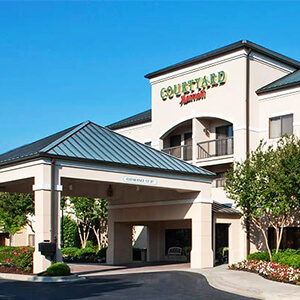 Courtyard Charlotte Ballantyne provides a fresh take on business travel. Each room offers a comfortable and stylish layout featuring plush bedding, a functional work space and separate seating area. With open lobby space, convenient dining at The Bistro and free Wi-Fi everywhere on property, Courtyard helps accommodate the guests’ desire to stay connected. Enjoy 15% off hotel stays. 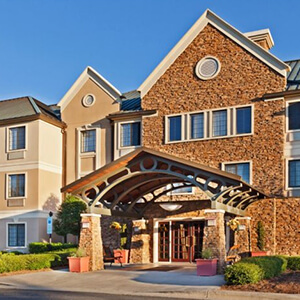 Staybridge Suites Charlotte Ballantyne is an all-suite hotel with roomy accommodations and a host of amenities. Recently renovated suites feature fully-equipped kitchens, spacious living and work areas. Additional amenities include free Wi-Fi, convenience store, business center, complimentary appetizers and beverages at evening socials (Monday – Wednesday), indoor pool, fitness room and access to washers and dryers. Enjoy 15% off hotel stays. 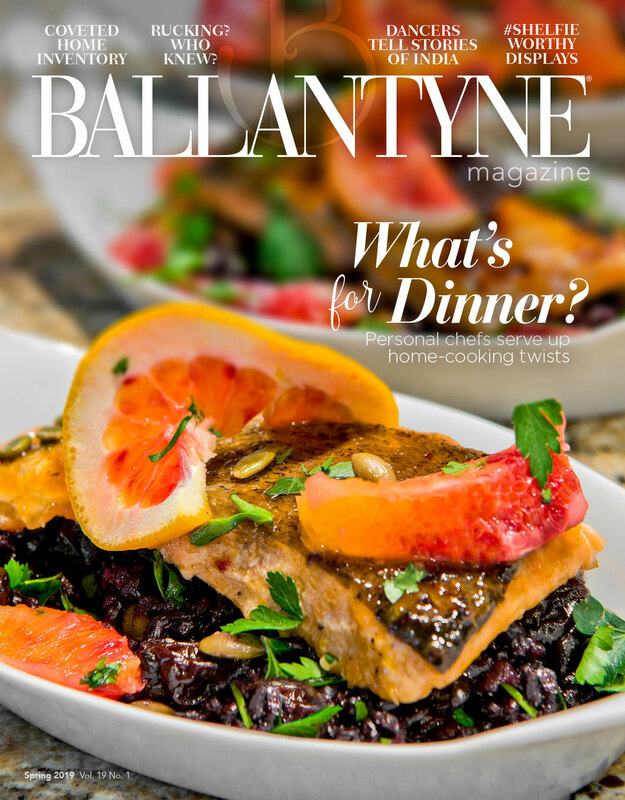 Ballantyne tenants have unique access to Northwood’s hospitality offerings. Contact us for assistance in fulfilling your lodging and event needs.